In Teatimes, food historian Helen Saberi takes us on a stimulating journey beyond the fine porcelain, doilies, crumpets, and jam into the fascinating and diverse history of tea drinking. From elegant afternoon teas, hearty high teas, and cricket and tennis teas, to funeral teas, cream teas, and many more, Saberi investigates the whole panoply of teatime rituals and ephemera—including tea gardens, tea dances, tea gowns, and tearooms. We are invited to spend time in the sophisticated salons de thé of Paris and the cozy tearooms of the United States; to enjoy the teatime traditions of Canada, the United Kingdom, Australia, New Zealand, and South Africa, where housewives prided themselves on their “well-filled tins”; to sit in on the tea parties of the Raj and Irani cafes in India; to savor teatimes along the Silk Road, where the samovar and chaikhana reign supreme; and to delight in the tasty dim sum of China and the intricate tradition of cha kaiseki in Japan. 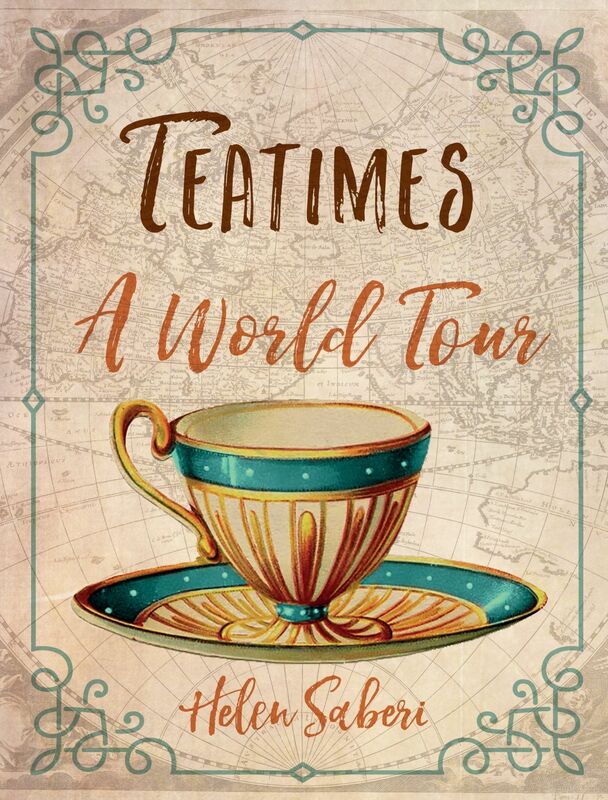 Steeped in evocative illustrations and recipes from around the world, Teatimes shows how tea drinking has become a global obsession, from American iced tea and Taiwanese bubble tea to the now-classic English afternoon tea. Pinkies up! "The book is a delightful and colorful romp through time and around the world to celebrate all things Camellia sinensis. This volume proves that there is so much more to tea than leaves in boiled water. . . . It is clear that Saberi is a passionate tea drinker because this warmth appears in her prose. She has put time and care into researching different cultures and the way they consume their tea. While some readers may be familiar with the drink, they will also learn and appreciate some more obscure customs and facts. . . . A highly readable and informative look at one of life’s most enjoyable pastimes—afternoon tea." "Elegantly written, this book provides a sparkling and affectionate evocation of tea, its social nuances, and mouth-watering accompaniments in all their manifold glory. A book for anyone who loves a good cuppa."